There’s something slightly sad about swimming in a pool once school begins. 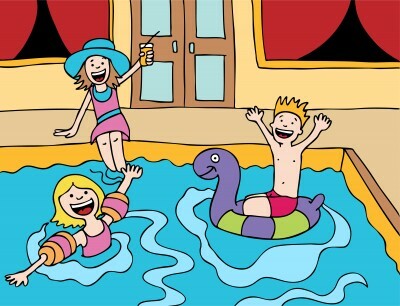 When all the kids are back in school and summer is officially over, suddenly the pool isn’t quite as warm and inviting as it was only a few days before when temperatures reached 100 and the pool was chock full of happy peppy people splashing merrily about. Brushing away a few premature fall leaves you try to pretend that it’s still the height of summer as you do your laps, but somehow you feel about as welcome as a party guest after the host has announced he’s going to bed. The row of empty lounge chairs that accommodated beach towels and babies just yesterday now take on a deserted and haunted look. Like they are waiting for ghost revelers from the summer of 1912 to return. Of course, a person can have the pool to oneself once school starts which is a plus. But swimming never feels the same once the weird September Swimming Vibes sets in. Something Happened to toddlers while my back was turned! My daughter, Nikki, has been sick and it’s not easy being sick when you have a 20-month toddler wobbling around the house. So it was grandma to the rescue (that’s me). Now here’s a little piece of info for you new grandmas out there. Toddlers aren’t like they used to be. Or at least not like you remembered them to be. My toddlers weren’t like the toddlers of today! It seems to me, my toddlers woke up with a big smile. I’d take them out of their cribs and, after changing their own diapers, they would toddle happily to the breakfast table where upon they would eat their entire breakfast consisting of something marvelously healthy, then play quietly with their toys, watch a little Bert and Ernie before taking a nap for the rest of the day. Hey! What happened to the bliss? Ok, I admit there’s a little fuzziness in my memory here and there, but basically I remember the Toddler Days were filled with love and tranquility and happiness and harmony bathed in a pink cloud of light with the Sesame Street theme song playing sweetly in the background. But having taken care of my 20-month-old grandson, Clayton, all day for a couple of days now, I have been forced to re-evaluate that perhaps I was remembering things a tad differently than how they actually are when it comes to the care and feeding this tiny creature known as the Toddler. 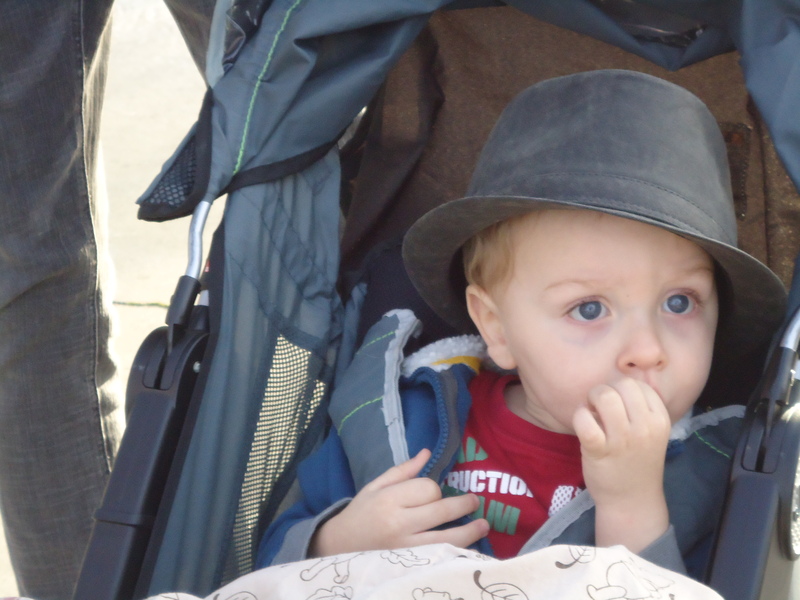 You see, Toddlers are a double-edged plastic knife. A dichotomy if you will. They are so completely and utterly, heart-meltingly adorable that you can hardly takes your eyes off them. While at the same time they are so creatively attuned to getting into dangerous situations that you can hardly take your eyes off them. This makes for an enormous amount of intense eyeball time which can sometimes lead to crossness. Hold still long enough to eat their breakfast, lunch or dinner. Hold still long enough to change their diapers. Hold still long enough to put on their coat, shoes, comb their hair, brush their teeth, wipe their faces, wipe their hands, put on their shoes, take off their shoes, change them into a dry shirt, change them into dry pants, change them out of their wet shirt into a dry shirt and back out of a wet shirt and back into a dry shirt. Phew! It’s Barney, Barney, Barney followed by Barney and then Elmo, then Elmo, then Elmo, then Elmo then back to Barney, Barney, Barney to be repeated in this order until Toddler tires of activity or grandma starts to babble more than toddler in which case an intervention could possibly be in order. Just when you’re getting used to reading “I Can Help” 14 times in rapid succession as they listen enraptured, thumb-in-mouth;- they suddenly decide they don’t want you to ever read “I Can Help” again, and it will be “What Do Babies Need?” 14 times in rapid succession or it will be NOTHING AT ALL! For instance, they can hurl themselves to the floor face down and cry bitterly into the shag carpet when corrected for wanting to play with electricity; but can just as quickly make the tears running down their cheeks screech to a stop, reverse direction, and roll right back up into their adorable little eyeballs stat! when confronted with a cookie. Yeah, my pants are full of poo — Aren’t everyone’s? They can also get quite testy when you try to get them to eat the rest of their applesauce, while simultaneously being cool “just hanging out” with a pant-load of poo. And finally, I’d forgotten that toddlers are like toothpaste. Once you take them out of the container they are in, you can never get them to go back in again. 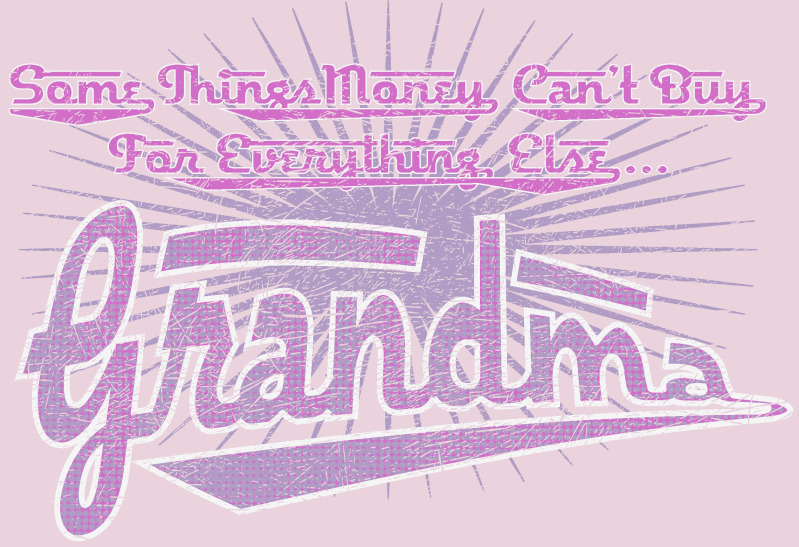 So a reminder to new grandmas everywhere. Remember that if you let them out of the shopping cart, the high chair or the car seat to run around on their own, there’s no going back, EVER! You will be completely screwed until they reach the age of six. It is said that the road to hell is paved with good intentions. So at least the roads are paved! Don’t worry about not having a bird in the hand; holding a bird feels slightly gross. If at first you don’t succeed? Lower your standards! The upside of being lactose intolerant is that you never cry over spilt milk. Don’t worry about not being able to pull yourself up by your bootstraps; people who do are short and have ugly shoes. It doesn’t matter if life hands you lemons as long as life doesn’t follow it up with a bill. Practice cooking flan because everybody knows time flies when you’re honing flan. It’s best not to be a fair weather friend; you might have to help with yard work. Money isn’t everything . . . wait a minute . . . . yes it is. 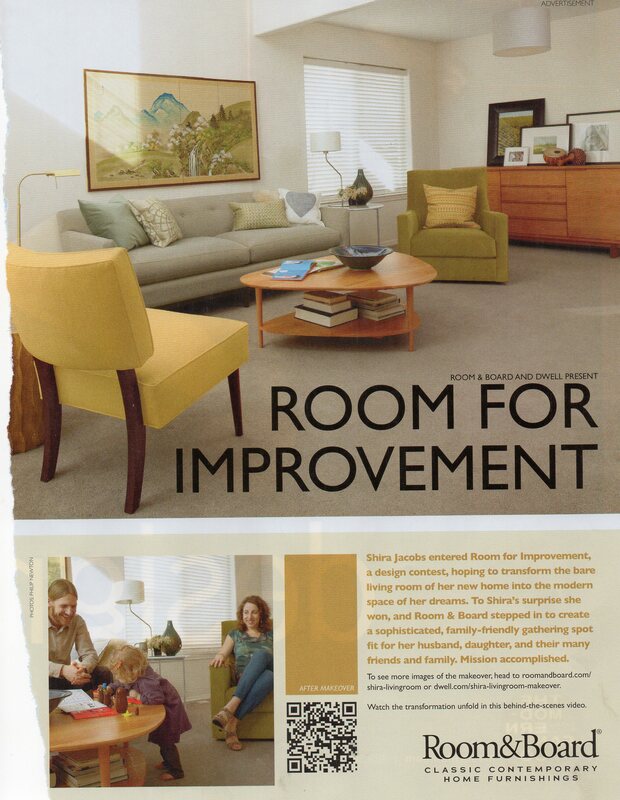 Let’s take a look at the magazine dwell; it will be swell. Nothing like the feel of cement to put the "omf" in comfy! 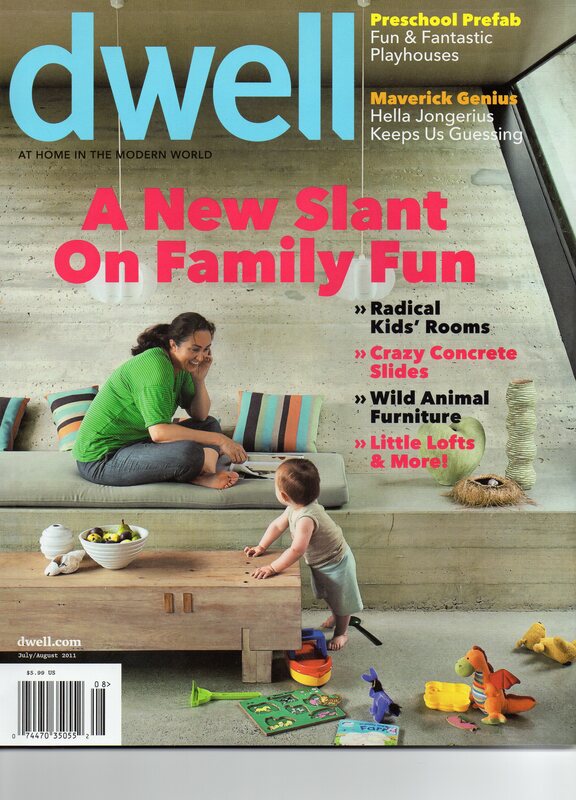 On the cover of the July/August 2011 issue of dwell, we see a woman smiling as she relaxes on a slab of cement. 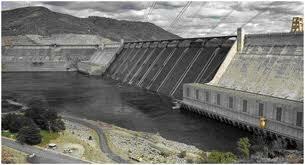 I remember being in a dwelling such as this in 4th-grade when our class took a field trip to Grand Coulee Dam. Of course, there weren’t any colorful throw pillows or comfy 3-inch pads to sit on. But the field trip would have been a dam sight better had there been. What? The Government couldn't afford a few throw pillows with the taxes we pay? But, sadly, we weren’t living in a modern world when I was in the 4th-grade. We were living in the 1960’s, and it only seemed like we were living in the modern world. How very foolish we were! Even if we would have known we were living in a modern world at the time, we wouldn’t have had the slightest idea how to feel at home in the modern world and would have just ended up panicking. 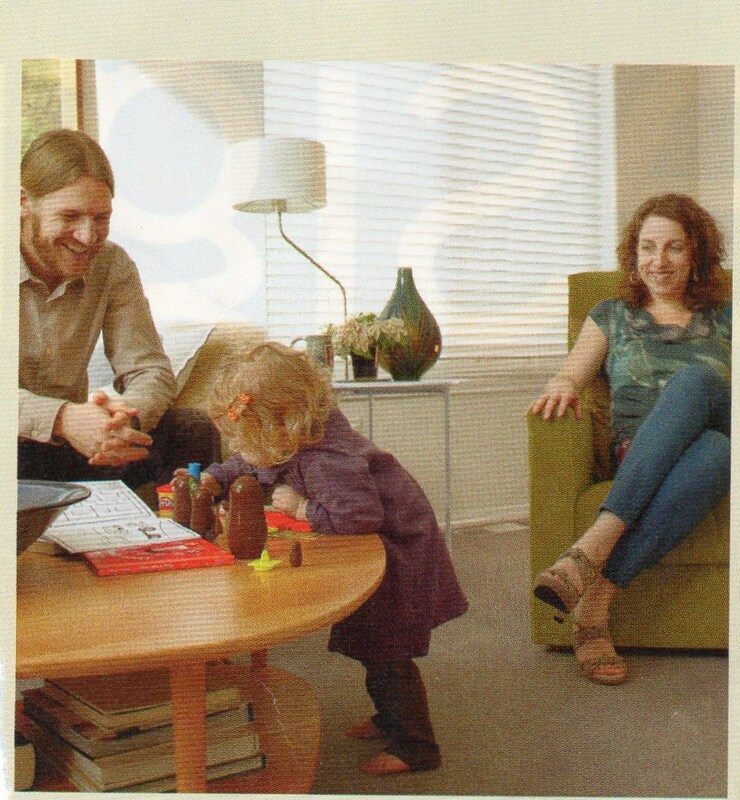 Guess what dwell Magazine did? Nevermind, I’ll tell you. First, they scoured the world and then after scouring the world, they finally found a couple who had been living in a yurt and who, therefore, had saved up enough money to buy a new house and ten thousand dollars worth of furniture. We know it doesn't look all that impressive. But it might if you "dwell" on it. Thank goodness for dwell Magazine for God only knows how wrong things could have gone with just the yurt people pushing and shoving things around to make everything fit. 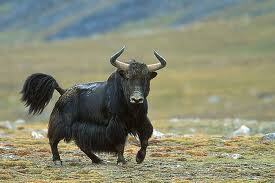 They probably would have used their yak for a coffee table for crying out loud! 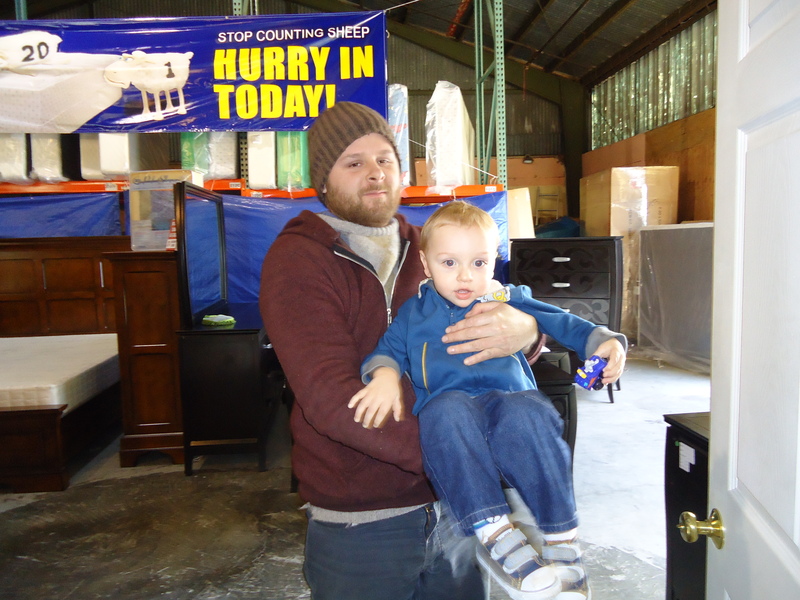 "Would you hold still, Bessie or Bossie, whatever your name is!" Thank goodness there were teams of professional professionals standing by to move things a hair to the right or left — so as to give it the effect of just rightness in a modern world so that now the yurt people can finally sit back relax and say, thank you dwell Magazine (and whoever) for taking all the credit for making us feel at home in the modern world. We could have done it without you but whatever. You’re Gonna Be Rich, Baby! 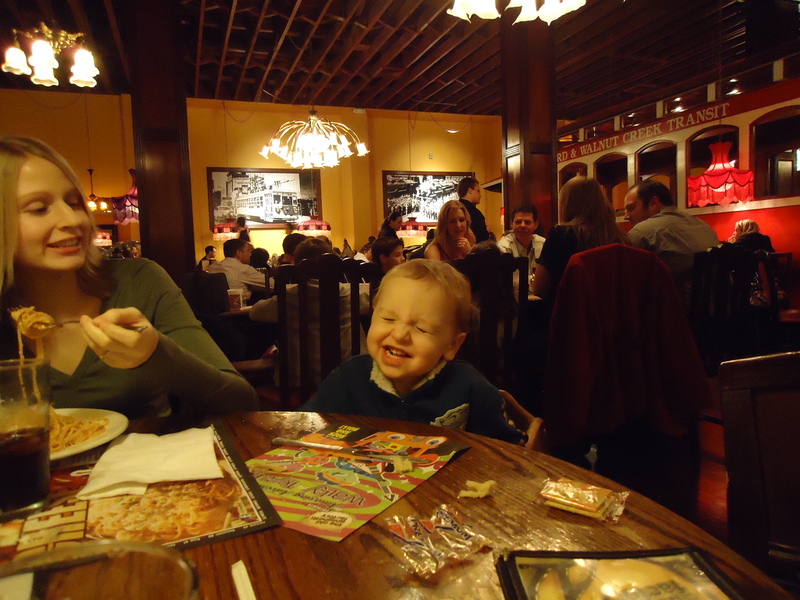 August 10, 2011 October 6, 2011 Linda Vernon Baby Eating and Whatnot	Chump Change, computer sitting service, English alphabet, home business, home business ideas, humor, martinis, money roll, visionary idea, you're going to be rich! Today at Linda Vernon Humor, we are proud to offer you three Super-Sizzling, Blistering-Hot, Ouchie-Mama, Home Business Ideas that you can get up and running faster than you can mix up a pitcher of martinis and inquire if anyone has change for a one-hundred dollar bill! The Claim: This beauty of a business is the hottest craze to hit the States and; simultaneously, the English alphabet in over 400 years! 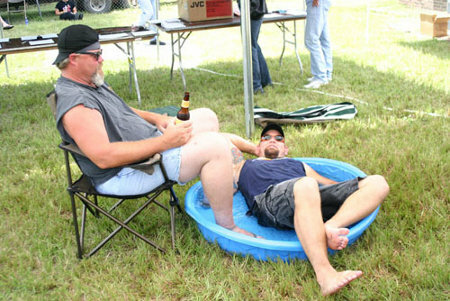 The Strategy: Sit by the pool and shout over your neighbor’s fence, “Hey! do you wanna buy a Q?” Get other people to do it too, then sit back and watch the money roll in as you sip several martinis in quick succession. You might not feel so good later but who cares! YOU’RE GONNA BE RICH, BABY! "Q's for sale! Get 'em while they're hot!" The Business: CHUMP CHANGE COMPUTER SITTING SERVICES! The Claim: Hey, Bill! Don’t let the Gates hit you when you leave! Work in the fast-paced, challenging field of high-tech with your very own Computer Sitting Service! The Concept: Get kids to babysit computers and fork over the proceeds to you. Period. Case closed. Leave. 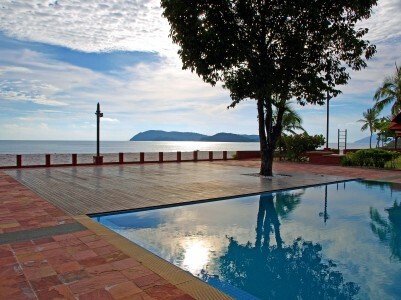 The Strategy: Sit by the pool and swill a couple of pitchers of martinis as you wait for the money to roll in. All that money and all that booze might cause you to act a tad bit inappropriate and your spouse might have to call the police and have you hauled away to the pokey, but who cares? YOU’RE GONNA BE RICH, BABY! "Anybody here interested in a bribe? I've got chump change." The claim: Stop being a 40-hour a week sap. People are always yanking your chain. Why not yank theirs? For a fee, that is! The Strategy: Sit by the pool and drink upwards of three pitchers of martinis followed by a pint of Jack Daniels and washed down with a gallon of Gallo until you put on a blonde wig and wander around the neighborhood reciting the Gettysburg Address at the top of your lungs and are eventually whisked away to a retreat at an undisclosed location. "FOUR SCORE AND SEVEN YEARS AGO!" Oh sure, a situation like this is going to cost you money, initially, but who cares? YOU’RE GONNA BE RICH, BABY! Baa-aaa-ddy can you spare a dime? I remember once reading about how you can program your subconscious mind to solve problems for you if you pose a question for it just before drifting off. "Hey! She stole my idea!" 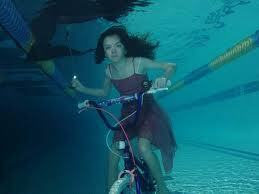 Of course, my family is never ever going to quit teasing me about The Underwater Bicycle idea. Fine. It’s well worth the ribbing if it will keep them occupied and off the streets for another day. I also hold the family record for making the lamest joke in the history of the Vernon Family. We were driving on a steep, winding road near Yosemite, and we met a couple of gray-haired guys in a Model A going the other way. So I quipped, “Hope your brakes hold there, Joe.” OK, maybe it wasn’t a quip, as such, but hey — at least I tried. Somebody had to say something for heaven sakes! 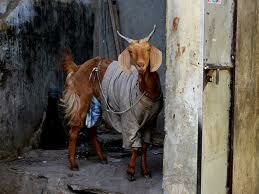 Can I help it if Peanuts hadn’t thought up “Goats on the Skids” yet? When it comes to our feet meeting the ground, there’s more than meets the eye. 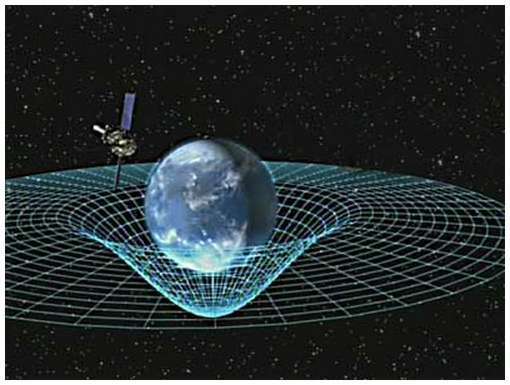 That’s because, frankly, I don’t think they’ve got the law of gravity completely right. When it comes to the natural laws of the universe, there seems to be a lot of perforated lines. You always hear scientists talking about tears in the ripple of time, somehow making it possible to suddenly travel backwards or forwards in the timeline. But what, pray tell, if there was a way to put a tear in the ripple of gravity, somehow making it possible for every single thing in the universe to suddenly drop those last ten pounds. Now that’s what I call a natural law with some legs! Allow me to get a tad theoretical here, if you will be so kind. Let’s suppose I weigh 500 pounds. Or better yet let’s suppose YOU weight 500 pounds . . . alright! Now we’re getting somewhere. What we want to know is how can a person, such as yourself, who weighs a whopping 500 pounds coerce gravity in such a way that it would allow you to instantaneously go from a 500-pound Tub-of-Lard to a 115-pound Tub-of-Vegetable-Oil in a matter of nano-seconds? The Answer is: fool around with some equations until you find a frayed edge in the ripple of gravity, give it a good yank and hello skinny jeans. Oh, rest assured, I can hear your little voice in my head asking, “How can an ordinary layperson, such as myself –someone who is still shaky on the multiplication tables — go from being a Mathematic Ne’er-do-well to a Mathematic Nerd-do-well with nothing to work with but a dream, a hand-held calculator and a 500-pound friend-in-need, such as yourself? Good question! In fact, I am officially making it Question Number Three! To figure out how to tear gravity using mathematics, the first order of the day is, of course, a large pepperoni pizza with olives. Then settle down to some serious ciphering and re-ciphering by deciphering the numbers and letters previously scribbled on a blackboard during a deep sleep. This is a challenge if ever there was one. But keep at it until you are able to find a loose thread either in the ripple of gravity, or failing that, in the cable- knit sweater you’re wearing. Then pull the thread gingerly at first, then saltly and pepperly after that. Before you know it, you’ll have a tear in the ripple of gravity as big as the great outdoors! After that, it’s just a matter of finding a sale on skinny jeans. And to that noble end, I heartily wish you the best of luck!